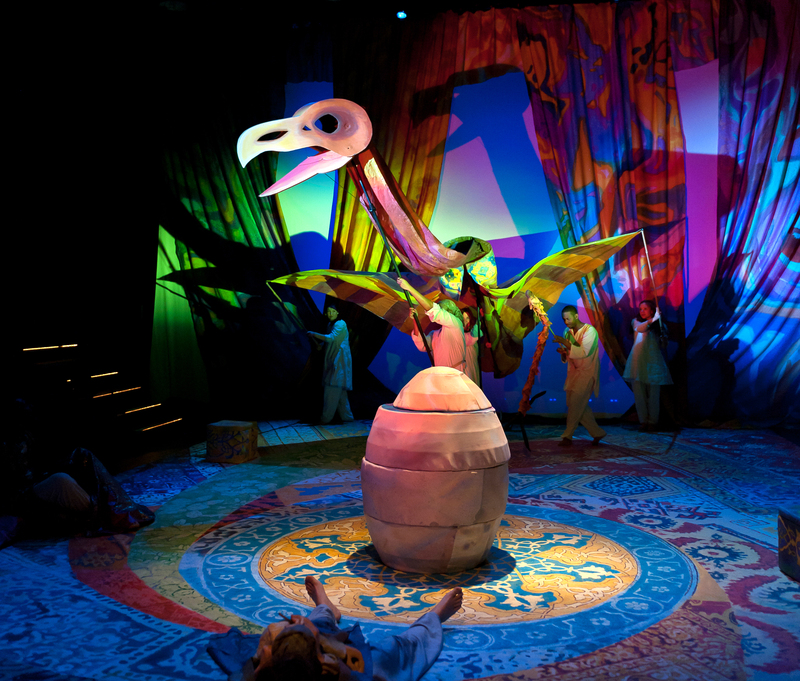 The Ruhk and the Cast in a scene from The Nora Theatre Company and Underground Railway Theater’s production of Arabian Nights running from November 17 – December 31 at Central Square Theater, 450 Massachusetts Avenue, Cambridge, MA. Tickets & Information: 866-811-4111 or CentralSquareTheater.org. Photo: A.R. Sinclair Photography. Arabian Nights, adapted by Dominic Cooke, The Nora Theatre Company and Underground Railroad Theater at the Central Square Theater, 11/17/11-12/31/11, http://www.centralsquaretheater.org/season/11-12/arabian-nights.html.